The La Salle River may be one of the most beautiful rivers in Manitoba. Because of the series of eight small dams built along its length, it can be canoed for dozens of kilometers. 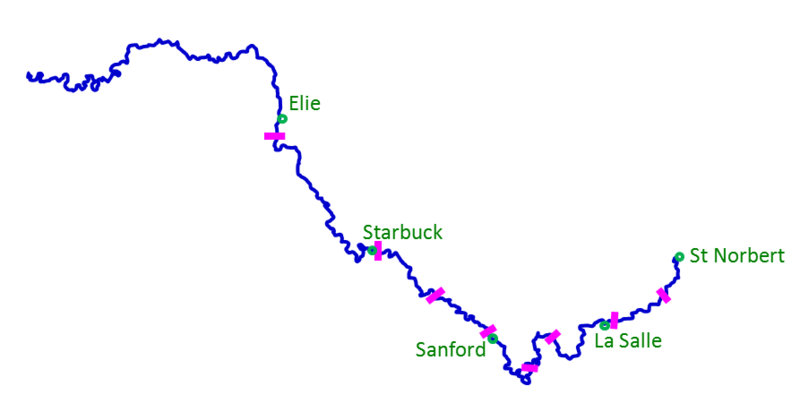 With a small amount of development, we could expand and celebrate the canoeing that already occurs on our river, developing a high-profile, multi-day summer festival that takes in the towns of St. Norbert, La Salle, Starbuck, Sanford, and Elie. Two apologies about my lack of French. First, I’m not sure “La Salle Canoë Fête” is proper French. Second, it seems absurd to refer to “The La Salle River”, but that seems to be what us English-speakers do. I welcome your suggestions.